There are currently 31 users and 1502 guests online. 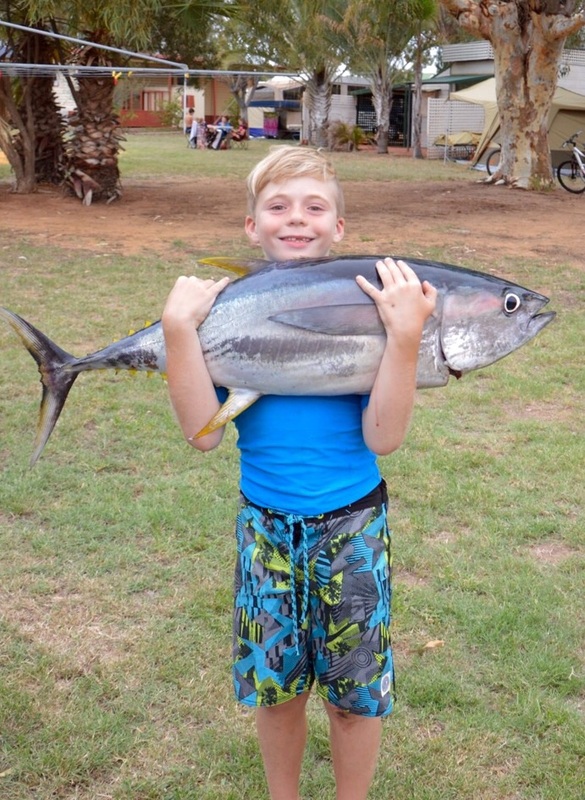 Matias Harris trawling out of Kalbarri over the Easter weekend. A happy young man indeed. Well done to all involved. Great eating! Well done to the young bloke...the family would've been stoked! Now please google the word "trawling". Would've gone hard, well done. That's a solid fin. Bet you were stoked. Yup a mini barrell there, well done. Mate, the kids is overloaded with that fat fella. Could have given him a hand .